It suddenly dawned on me, with the terrible clarity that can only come with advancing age, that it might just be possible that I have no more room for new plants in the garden. Every square millimeter of soil is spoken for. I’m not sure what to do next. I could plant more plants in the other two gardens I “maintain” (ie, glance at once a month), but then the plants wouldn’t be mine. I could wait a week or so until all the new plants I’ve put in here this year are dead, and then buy more, but I don’t care for that idea so much. Plants in containers are the obvious solution. 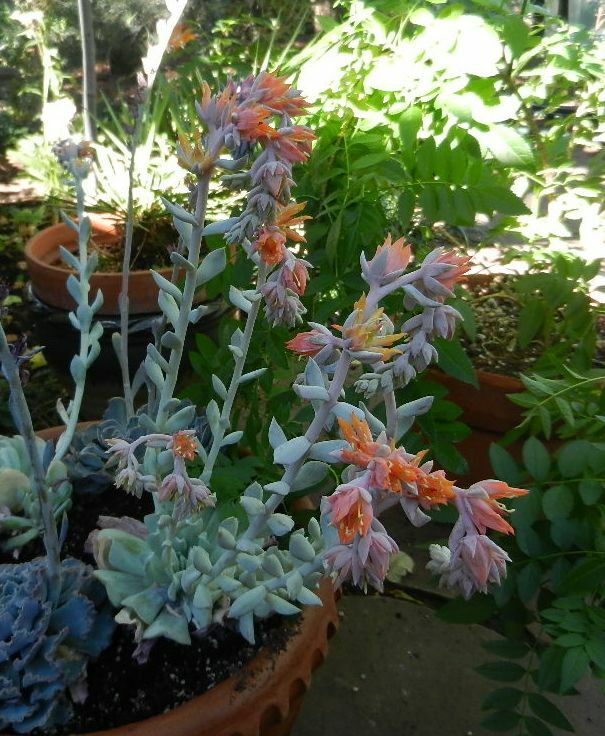 I’d get more summer color that way, and I like the look of the echeverias I recently jammed into a pot so the garden wouldn’t look like nothing but a bunch of dried-up sticks.